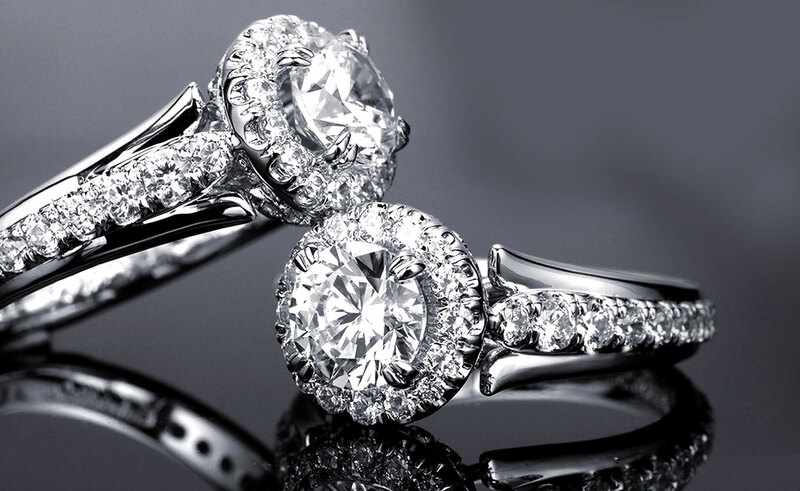 jewelry designs or you just want someone who pays the most for gold and diamond jewelry… You found it all right here at Whitestone Jewelry in Cedar Park. No matter where you live in Austin, Cedar Park, Round Rock, Lakeway, Georgetown, Leander, Lago Vista, Liberty Hill, Pflugerville or other areas of Central Texas… Jewelry stores just aren’t like ours. Come see us. Drop by and visit us at 601 E. Whitestone Blvd. in Cedar Park just across from the post office in the Railyard Shopping Center! 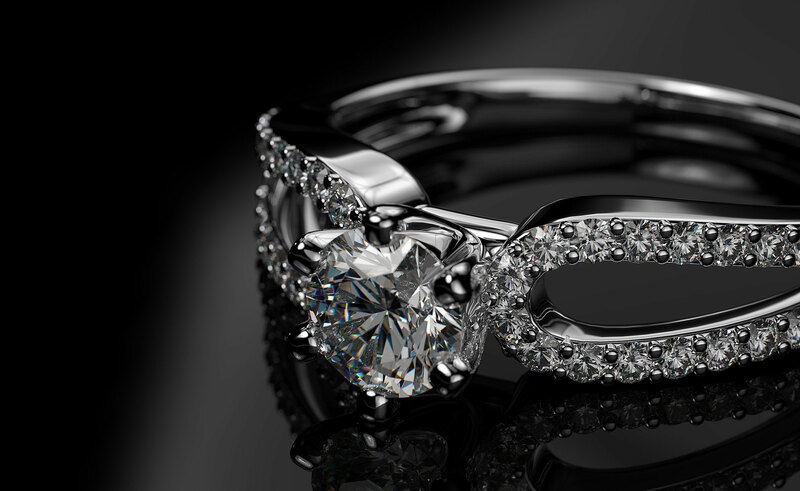 I recently bought my husband a ring from here, and the CAD department worked with me incredibly. They were very honest about what would look good and what would not when it came to his skin tone and such. I plan to come back when I get a wedding band to match my husband's. Awesome place. Experienced jewelers and staff. Fair prices, beautiful work (repaired and restored my 96 yr old mother's wedding set for my son and daughter-in-law.) Great customer service! Five years ago I was new to Austin and in addition to finding a doctor, a dentist, and a house, I had to find a jeweler! One of my Tiffany pieces needed repair, so I went to Tiffany & Co. at the Domain. And they recommended Whitestone Fine Jewelry (at that time known as Cedar Park Jewelry). That was good enough for me! Whether I need a watch battery, a repair, or just to have my rings cleaned, I can’t imagine going anywhere else. And you can be sure when we are in the market for a new piece of jewelry (hint, hint dear husband), we’ll be going to Whitestone Fine Jewelry! Great service, and attention to detail. I had a custom ring designed and it turned out exactly like I wanted. These guys are amazing at what they do. Thank you Huy Nguyen for helping me make my vision a reality!! George never disappoints... I was happy and surprised he remembered the wedding ring he made for me. He talked me out of revamping it because it really is so freaking beautiful, and we resized it for a different finger instead. Definitely the right decision. ItsI the most beautiful ring I've ever seen, and I'm so happy I kept it. Thank you George Poe! I absolutely loved Whitestone Jewelry! They took their time helping me find the perfect engagement ring for my boyfriend and I. Other places didn’t take the time to find rings in my price range and by what I wanted. Noel did we came by several times to play with rings and designs till we found the right one!!! I love my ring!!!! I highly recommend them. I love this store. Service is amazing. I bought a pair of diamond earrings from them when I lived in Austin. I lost them and reordered and they sent them to me in CA. I recently lost one of the earrings a decided 3 time is a charm. I ordered via text and they promptly called and are shipping them to me overnight!! Whitestone Jewelry is the best! Anytime I need repairs, new gift ideas or jewelry designed, Whitestone is the jewelry store I will always choose. George Poe and his staff are knowledgable, helpful and talented. I am confident when having repairs or new designs created, the results will be done quickly and beautifully and at a fair price. I have also sold jewelry to Whitestone and have been well compensated. Great experience at this jewelry establishment in Cedar Park. They sell custom jewelry, as well as serving as buyers for their customers. They have an awesome silver jewelry section that my daughter and perused. I had been looking for a silver moonstone ring, and found exactly what I was looking for. In this section you buy by the gram, $3 a gram with a stone, or $2 a gram without a stone. This ring was one they bought from another customer and resold. Amazing finds here. Such a great place! I took my wedding ring in to get the setting fixed and they did an amazing job. They ended up having to rebuild the setting and do more than I thought but was thankful I didn’t loose my diamond! I met with George on two occasions. I found him to be extremely friendly, honest, transparent, and fair. I will definitely go back to sell gold or silver. I will also have them create custom pieces for me in the future! 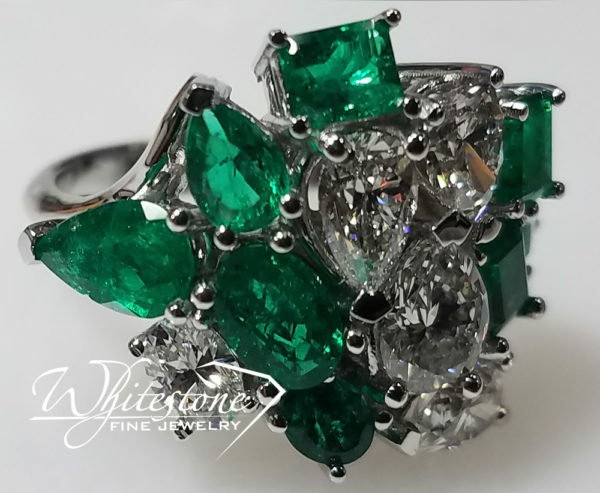 Whitestone Fine Jewelry provides excellent customer service, has a large variety of beautiful, sparkly inventory and supports the local community. I've had my own rings reset there and partnered with them through my nonprofit work. We've also been the recipient of auction items which helps us retain more of the funds raised at events to support our causes. I highly recommend Whitestone for any of your jewelry needs. What a wonderful experience. Peggy was very helpful and delightful. The entire staff was friendly and ensured I was taken care of. This allowed me to focus on the perfect gift for my wife. Start your shopping at Whitestone. Met G2 and he was very nice. I had brought in a ring to be polished. He was very professional and had me out in the door in about 10 minutes. Even included a free ring box! Great job on the polishing guys! Would reccomend them to anyone! This is the greatest jewelry store I've ever shopped in, and I have shopped in many all over the country. I wear more jewelry than some people own so I know my jewelry stores The people that work there are the nicest you will ever meet and the prices are the best, but the quality of the jewelry is unbeatable. So go see George and tell him Shirley sent you. So happy to have found Whitestone Jewelers. Such a pleasant experience. Everyone is so helpful and friendly. Couldn’t be happier. It was a great experience buying an engagement ring there. The sale staff was very nice and knowledgeable. I got to meet and shake hands with the owner who Did the commercial on TV. It’s a small store but had a lot of beautiful jewelry. 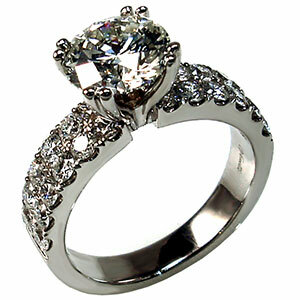 I would definitely refer and recommend people I know to go there if they ever in needed to look for fine jewelry. Have done business with Whitestone Fine Jewelry a few times. Each time the staff was attentive and listened to what I was looking for and made recommendations based on that. They sold me what I wanted and did not try to sell something that I didn’t want. They are a breathe of fresh air and made the experience pleasant and easy. I have only dealt with George Jr but it's been a great experience. He has helped with my watch, diamond ring and most recently my grandmother's 1951 class ring repairs. And an extra bonus, they're a local business!! My husband had a large gold ring with diamonds that we took to Whitestone and a ring made out of it for me. I am absolutely thrilled with the results. It is just stunning and will last forever. Peggy was so helpful and very knowledgeable. And George’s craftsmanship is excellent. I will definitely be going there for all my jewelry needs. My experience was so much more personable with this local business than a jewelry chain store. This store is fabulous! I took in my great grandmother’s diamonds to have my wedding band made. They had it made in two days!! Awesome people to work with. We’ll definitely go back! Always friendly !! Super impressed with customer service. I took two rings in to be sized. When I came to pick them up, one ring was still too tight. Was told we want you to be happy and can resize again at no additional cost to you. Kyra, Peggy & George are super knowledgeable and always ready to show me any pieces of jewelry to try on. Highly recommend for all of your jewelry needs. I took some loose gemstones that I had bought on eBay and some findings that I had bought on Etsy into Whitestone Jewelers to have the stones mounted. They gave me an estimate that I was okay with and told me it would take a week or two to get the work done. Only took them 3 or 4 days to get the work done and they did excellent work. Price was reasonable compared to others I had also gotten estimates from. The owner and staff were friendly and experienced and knew what they were doing. Easy in easy out, not a problem at all. Two emeralds and an amethyst set as pendants for necklaces and one emerald set in a ring setting. Shopping for a Engagement ring is very stressful. 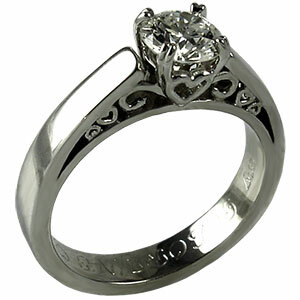 The staff at White Stone Jewelry are very helpful and know what they are doing. White Stone Jewelry put together a beautiful ring for my girl friend. Over all the best Jewelry Store I’ve ever done business with I highly recommend them. 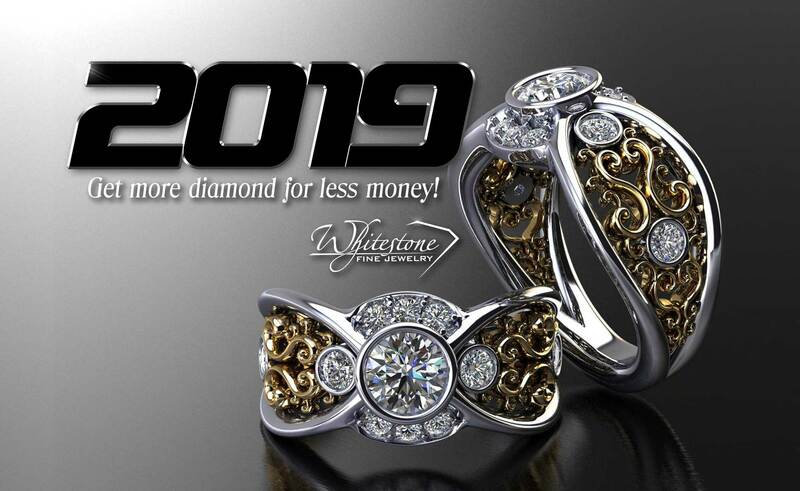 Love Whitestone Fine Jewelry! George is awesome and his team represents him so well! Very relaxed shopping environment with no pressure, just the way I love to shop!! Pieces are beautiful and unique and we will come back again and again! My daughter was given her great-grandmother’s wedding ring as a gift for her high school graduation. 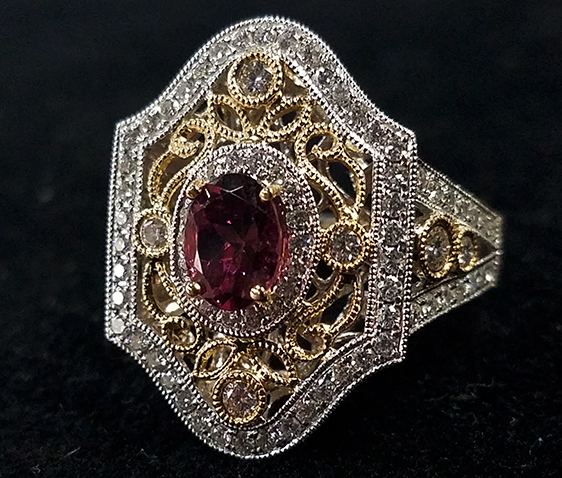 She really wanted to find a gemstone soon so that she would be able to share her repurposed ring with her grandmother whose health is failing. Ashlynn and the jeweler went above and beyond to make her experience memorable and very special. They had to redesign the head to accommodate an emerald cut stone. The design was breathtaking and matched the period of the piece beautifully. My daughter can’t wait to show her grandmother and now has an heirloom that she can pass down to someone in the future. 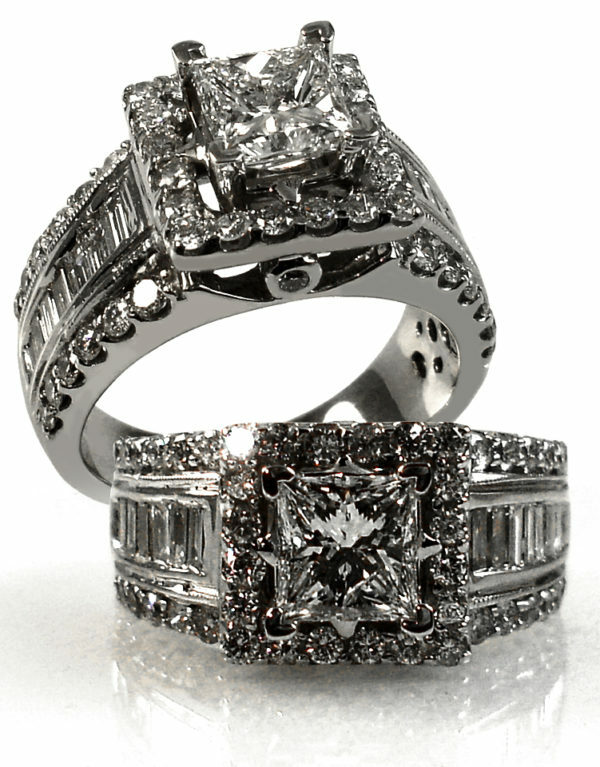 If you want a relationship with a jeweler I would strongly recommend Whitestone Fine Jewelry. They are kind, trustworthy and do beautiful custom work. 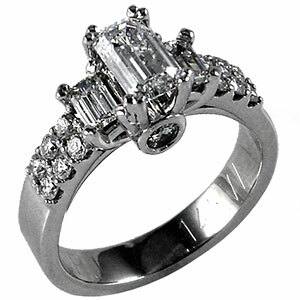 We have had three custom pieces of jewelry made at Whitestone Jewerly. Each piece has been made patiently and beautifully to meet and exceed our expectations. George Poe runs a fine establishment and expects perfection with every piece he created and sells. I get compliments all the time about my rings and necklace and I will not shop anywhere else for fine jewelry. I brought in a ring design my girlfriend had picked out and George absolutely nailed it. We could not be happier with how it turned out. Thank you so much George for the wonderful customer service you provided and the outstanding ring you made. You have earned a customer for life! The staff is incredibly helpful and nice! Have always had a great experience using this wonderful company! I went to get my engagement ring sized and the turn around time was exceptional! I applaud this team! Happy customer! Was incredibly pleased with the overall experience at Whitestone Fine Jewelry. The quality and pricing was great and the staff was welcoming and helpful. Peggy was especially helpful and kind while we went through the selections and finding what I was looking for. Highly recommend. George and his staff are amazing and I feel totally comfortable with this jewelry store. I really like that they offer many distinctive and exquisite pieces unlike the “normal” jewelry store hum drum pieces. Check it out, I think you will really like it. I am no one special, just a very happy customer. My husband and I care in to sell some jewelry. Most amazing people to work with. They treated us like family and I will so be going back to give them business. I am a loss for words on how well we were treated. I would so recommend them. The knowledgeable staff at Whitestone are always friendly, courteous, and helpful. It's refreshingly rare to find an atmosphere like theirs in today's world. They put the customer first. I'm personally motivated to go there first for jewelry purchases and repairs. I've recommended them those in my scope of influence. George has always been fair when buying my old jewelry and coins, too. Thanks, George. 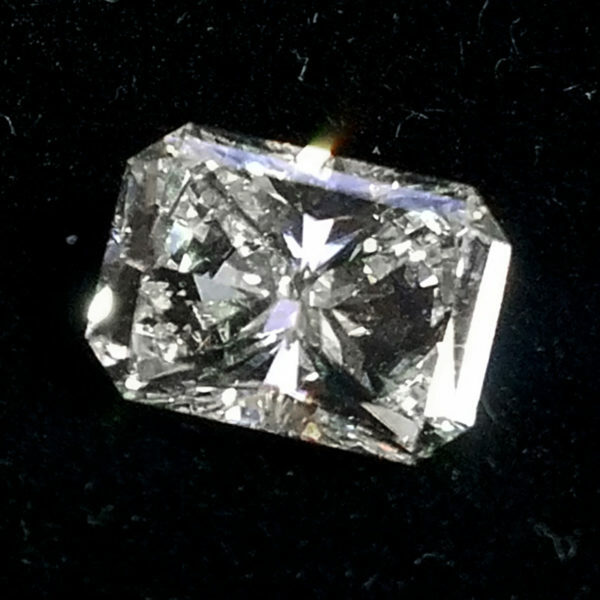 Honesty ... You might be able to go to a diamond “big box” store and think you are spending less ... when it comes to stones, the most important thing is “can I trust these guys”. Big box sales folks may be gone next month. These folks have been there a long time and aren’t going away soon. Give them your business. You can trust whatever you spend was a fair price for the exact item you think you are buying. Always great service at Whitestone! Wide selection of beautiful jewelry at fair prices. I love to look through the estate pieces. They are always so interesting! We needed a replacement watch battery for our son’s watch and were disappointed that service wasn’t available at Target anymore. 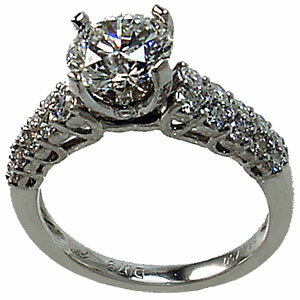 We called Whitestone Fine Jewelry and were so happy they provide that service. They were fast, efficient, and they set our son’s watch to the proper time. They were excellent! Kind, personable, and great with our young son. They also have an awesome saltwater fish tank near their entrance. We’ll definitely keep them in mind for future jewelry and watch purchases! The personal attention and customer care is outstanding! We have found a new place to shop for jewelry and recommend everyone to stop by and meet George! Great experience! It's to my greatest pleasure to work with George the owner. He has been very generous in helping me throughout the years with donating items to help me raise money through my fundraisers and benefits. He is a man of dignity and has a great love for helping others in need. His jewelry is exquisite and a great gift to anyone. I highly recommend supporting George's business as he greatly supports his community. My favorite jewelry store of all time. The service is amazing and the jewelry is gorgeous. It’s the only store I go to for all my personalized and fine pieces. Love it!! George is great. He helped me pick out the perfect white gold ring setting for my tanzanite stone, and it looks gorgeous. Very courteous, great deal on the price of the ring, and it was ready the same day. I love this place. I recently had a new stone put in my grandma's ring, came out great with a new "basket" and rebuild. Very reasonable with helpful suggestions from Kyra. Can't wait to do my next project-turning a bracelet into a lavaliere necklace. Great people, pricing and security. They are rare gems, if you will pardon my pun. It was great service. They did a fantastic job on my ring. I was thinking of a gold bracelet and they had exactly what I was looking for. So I walked out with a great looking ring and a new bracelet. Thanks for the great service. Summary: friendly, professional, timely, trustworthy. We have been to Whitestone 3 times now. First time was to get an appraisal for a ring I purchased in Santa Fe. It was a customized ring, and when I got the ring, I had various issues with the ring related to quality of stones, and workmanahip. I decided to get it appraised and George Sr was great to work with. He also gave us great advice on how to approach the other company. After some rework, i took the ring back for a re-appraisal, which George completed for me gratis- completely unexpected. I just had my ring resized and i got it back in 3 days, at a very reasonable price. Its just been great to work with Whitestone. Highly recommend them. I love my 25 year anniversary ring! The jewelers at Whitestone were able to take the stone out of my original engagement ring and create a totally different upgraded ring. I appreciate the vision they had in customizing a unique look just while keeping the sentimental value which was so important to me. I highly recommend Whitestone Jewelry for their creativity and great customer service. The beauty of my ring far exceeded my expectations! This is a wonderful family owned business. My husband purchased my engagement ring here 5 years ago. It’s a beautiful one of a kind piece that I love. We picked out both of our wedding bands here as well. We come back for upkeep from time to time to have them dipped, cleaned or sized and we are always treated like friends. We really love this place. They have some really fantastic jewelry too. The name has changed recently but it’s still the same wonderful people and atmosphere. Thanks for all y’all do. What a wonderful experience we had. Our salesperson Noel was the most professional, friendly, and knowledgeable person you could ask for. I wasn’t sure what I was looking at or needed. Noel gave me a quick education on diamonds and choosing the right diamond became much easier. And George! the first time we met it was like we’d been friends for years. Can’t say enough good things about Whitestone Fine Jewelry and the staff. Will definetly return for all our jewelry wants and needs. I've used Whitestone Jewelry for years now and they are terrific. They've repaired several of my rings and the repairs are sturdy yet perfectly invisible! Their customer service is also exceptional. Mark and G2 are amazing. They are friendly, courteous, and helpful. Best jeweler in Cedar Park! If you want to do business with a truly Spiritual (honest, with integrity) person, then George Poe is your man. We shopped extensively for my diamonds from Austin to Georgetown. George brought in the best stones at the best prices. He outdid Diamonds Direct & private jewelers. He is our family jeweler now & a new friend. This jeweler is the greatest in our area. Try them before you buy or have custom work done. We were happy we did. Their trade in & purchase was the best we found. You will really like the owner & his employees. My family and I have been coming to Whitestone Fine Jewelry for over 10 years. We no longer live in Texas. In fact, we live out of the country now, but that hasn’t changed where we go for any of our jewelry purchases or repairs! The people at Whitestone are professional, knowledgeable and personable. They go above and beyond every time. We wouldn’t ever go anywhere else! I took my Grandmother’s wedding ring in to get re-sized to fit me and it only took a week to have it ready. They initially said two weeks, so I got it very quickly. It looks perfect and fits beautifully! They also cleaned my own wedding ring for me as a courtesy! These guys are great! I will be back!! If you haven’t been to Whitestone Jewelry you are missing out! I can’t say enough about the shop and everyone in there. The owner, George, is amazing to work with. He goes above and beyond to make his customers happy. His staff is knowledgeable, patient and friendly. Whether you are having a battery changed in your watch or having a custom made piece of high end jewelry, I highly recommend them. I wanted to get my wedding ring totally redone. I have been married for 28 years and needed a change. George at Whitestone Fine Jewelry is just the very best. He listens to what you want, works with you to ensure you receive the best outcome and I am over the moon with my “New” ring. I highly recommend going to see him for any jewelry needs. He can custom design exactly what you want and he is a wonderful person on top of all his talents! George and all of his staff are completely committed to their business and their customers. George has earned my business for life. I will NEVER use another jeweler. You will know from the second you walk in you've made the right decision. I can say from personal experience they put customer experience above all else. Find bridal jewelry, engagement rings, wedding rings at a price you will be happy with in Cedar Park, Austin & surrounding areas right here! Design your own jewelry with our custom jewelry program, where your ideas come to life in Cedar Park, Austin & surrounding areas! Top Gold buyers in Cedar Park, Austin & surrounding areas! 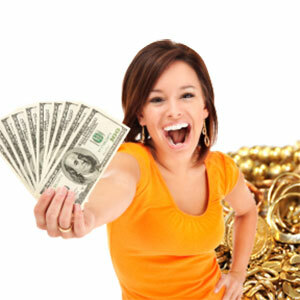 Sell gold, silver, diamond and platinum jewelry and get the most for your gold. 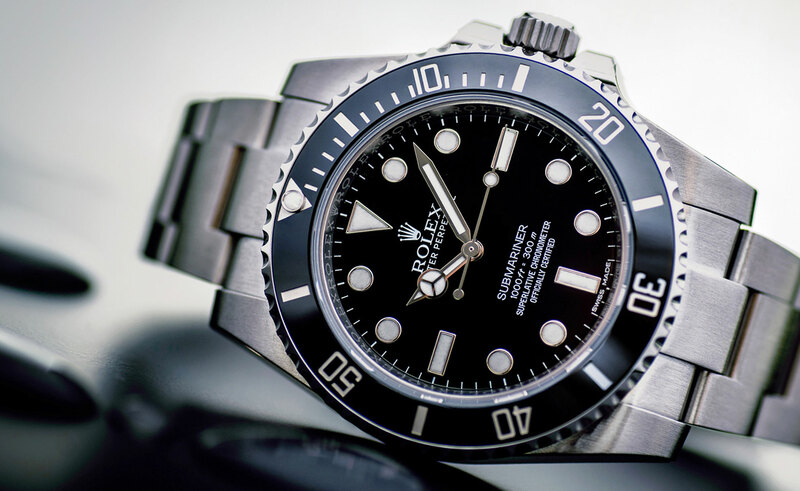 Looking for gently worn (pre-owned) Rolex Watches in Cedar Park, Austin & surrounding areas? Luxury watches at a price you’ll love! Jewelry Repair in Cedar Park, Austin & surrounding areas? Come see us today! 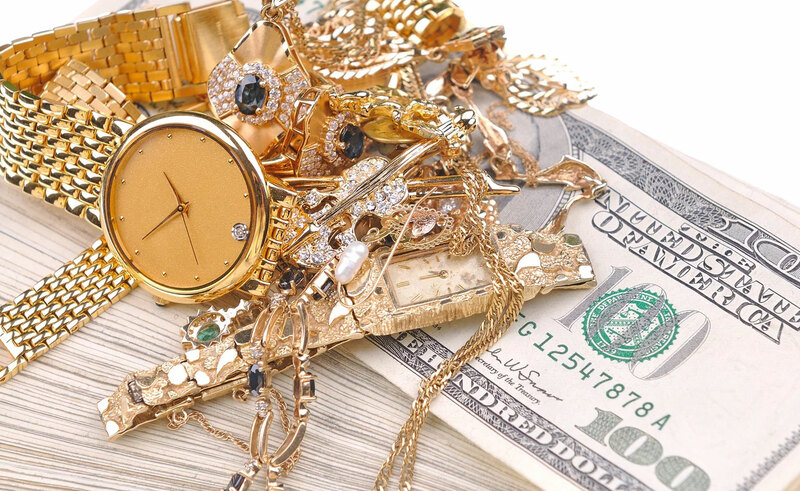 We fix your broken jewelry in house and fast! 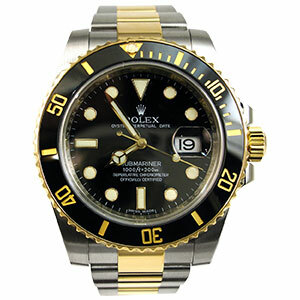 Our gallery of fine jewelry, Rolex watches, estate jewelry and custom jewelry is coming soon to the site! Check back soon for pictures. People who know George Poe, know that he is THE guy to see about anything pertaining to jewelry! New jewelry customer reviews coming soon.